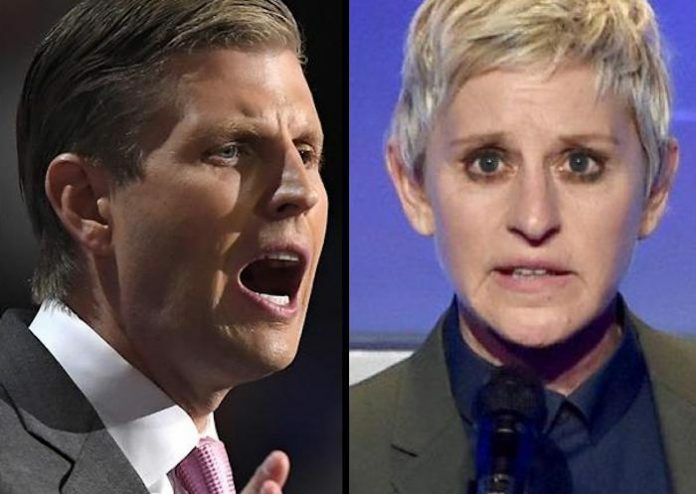 Eric Trump has accused Ellen DeGeneres of being a Deep State mole who works for a shadow government trying to undermine the Trump administration. Donald Trump’s son took to twitter after becoming frustrated when Twitter offered automated suggestions about who he should follow. The accounts recommended to him were Hillary Clinton, Barack Obama, and Ellen DeGeneres. All three of the accounts belong to Deep State agents, according to Eric Trump, and are being promoted by the Democrat-aligned social media site. This isn’t the first time Ellen has used her influence to promote the New World Order’s agenda. Back in October, she conducted a bizarre interview with Las Vegas shooting security guard Jesus Campos who had mysteriously vanished after the attack but conveniently reappeared to tell his story to Ellen. Fox News anchor Tucker Carlson questioned why Campos gave his one and only interview to Ellen DeGeneres, a person sponsored by the owners of the Mandalay Bay hotel, MGM. Carlson went on to interview Mark Steyn, who agreed that the whole thing seemed completely staged. 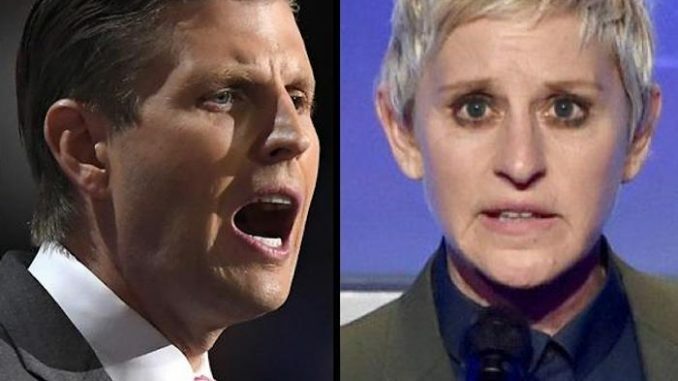 “Because, whether by intention or design, nothing is proceeding normally in this case up to the absurdity where someone says, ‘I’m only going to give one interview and I’m gonna give it to Ellen DeGeneres,’” Steyn told Carlson. “There’s dishonesty in here somewhere, I don’t know what it adds up to,” Tucker said.